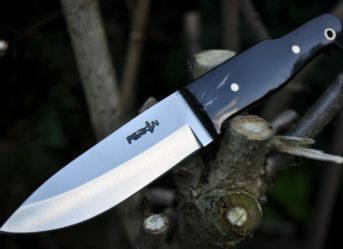 As the name suggests, the hunting knife is employed for the very purpose. 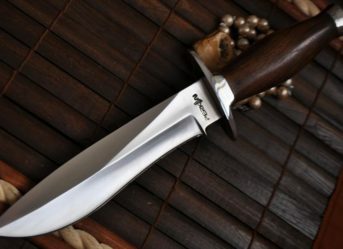 Even if you are not a person who is involved in this activity but likes to keep a collection of beautiful, iconic knives with you or if you are the adventurous type who loves going out to places that challenge your limits, then you ought to possess a hunting knife. A hunting knife is a compulsory inclusion of your survival kit and also of your collection. 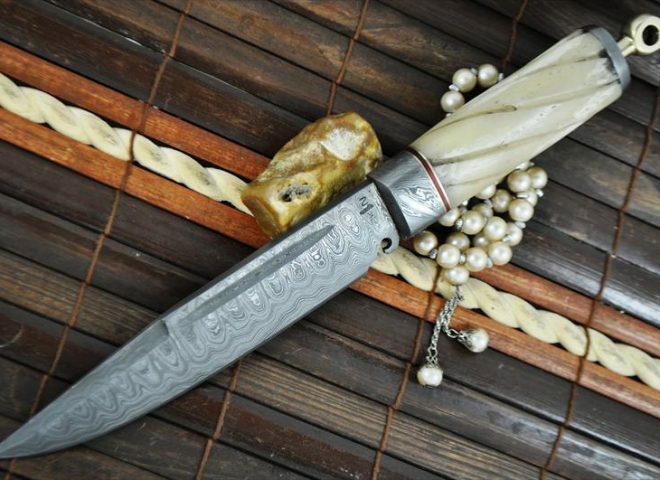 If you are looking for the best of hunting knives, you can consider the handcrafted damascus steel hunting knife with a mammoth bone handle. 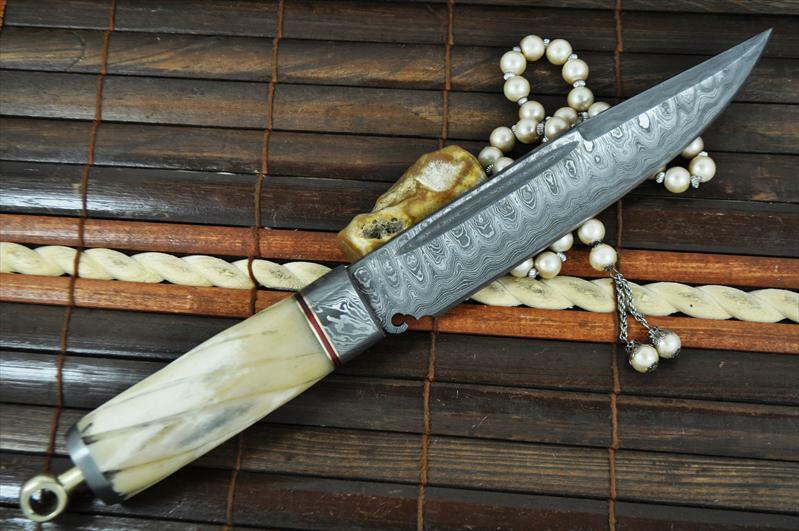 The knife has a beautiful damascus steel blade having a wavy design which is 7 inches in length and the bone handle is 5 inches. Mammoths are distinct animals who were a part of the elephant family, whom we never got to see, but for us, mammoths will always be the ‘Manny’ family from Ice Age! 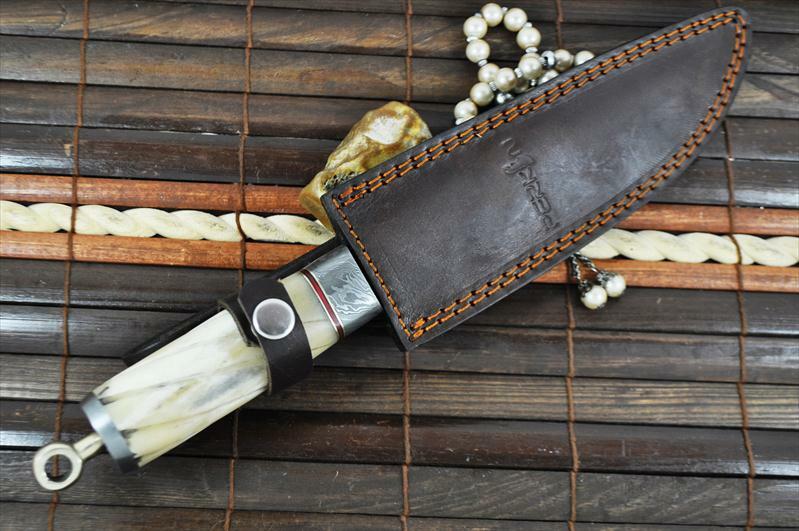 Imagine how cool it will be to own a knife whose handle is made of the bones of a mammoth! As rare as these knives are, they are equally expensive for obvious reasons. The mammoth bone handle knives are available in many stores dealing with antique knives and also online but the authenticity is questionable. 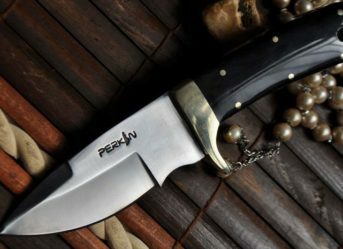 If you are a looking for an authentic bone handle knife, you might want to have a look at the Perkins mammoth bone knife with a damascus steel, giving it a more magnificent design. Having a rare knife in your collection is certainly an amazing feeling but if the knife is as rare as one having a mammoth bone handle, then the feeling increases manifold! 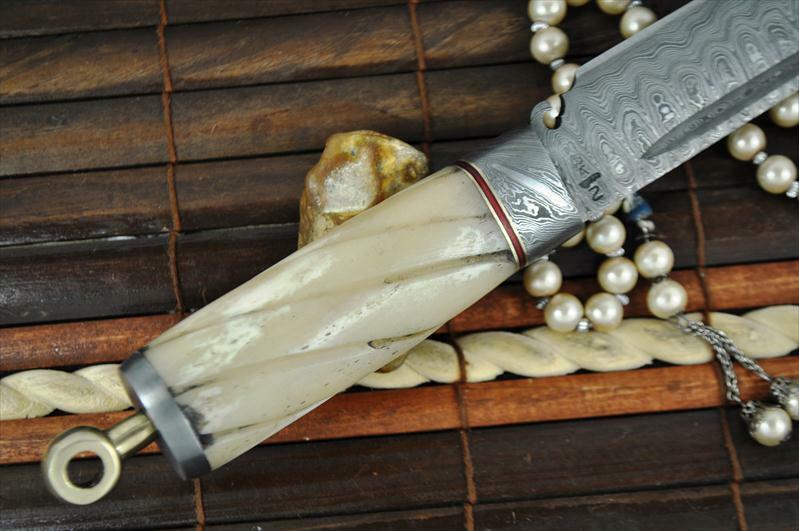 Mammoth bone handle knives are very rare to find and are extremely expensive! What a badass thing it will be, flaunting such a knife! 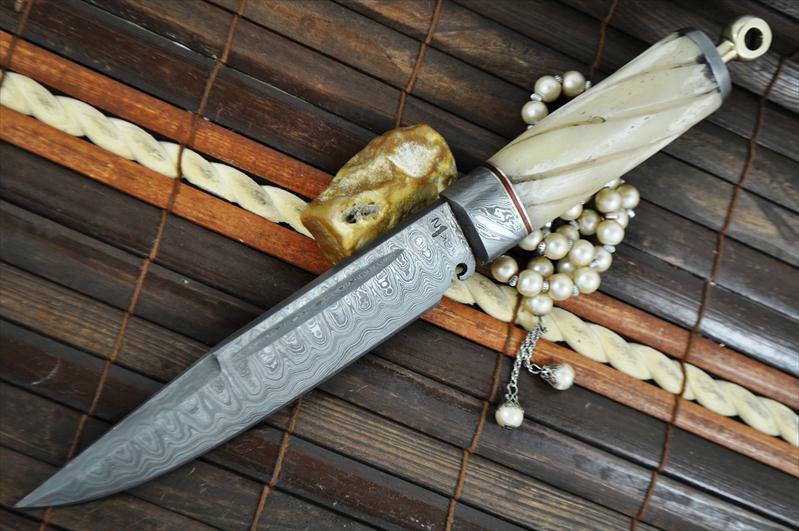 Perkins knives provide you an iconic, handcrafted damascus steel blade knife which has a mammoth bone handle. It has an overall 12 inch length with the handle being 5 inches. 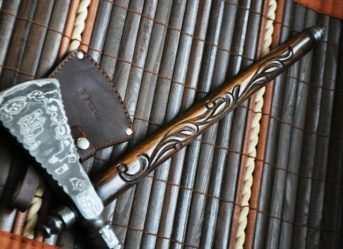 We bet, this bespoke, piece of art knife will be a highlight of your collection and will have every onlooker in awe of itself.